Love to Perform? Here's Your Chance! Our fall studio concert is held in the Appenzellar-Buchanan Dance Studio at Wilson College. This concert consists of work made by students participating in Orchesis, as well as visiting artists. 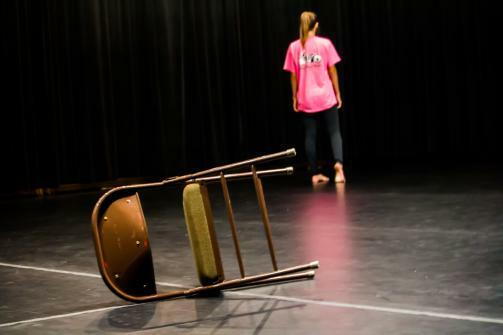 This performance is in an intimate environment in which spectators and students explore the boundaries and definitions of dance. This concert is in the proscenium setting and also features student choreography and the work of guest artists. One of the missions of Orchesis is to expose and educate the community about dance. We work in outreach programs provided by the Chambersburg Area Council for the Arts, participate in fundraising events sponsored by organizations such as the local farmers market, and organize programs for local elementary schools. This year, we are adding a Saturday matinee to our fall performance in order to encourage attendance by young audiences. Independent research projects are available for upper-level dance minors; once these goals are articulated, further opportunities are available for research to be presented at various dance conferences, such as The National Dance Education Organization.